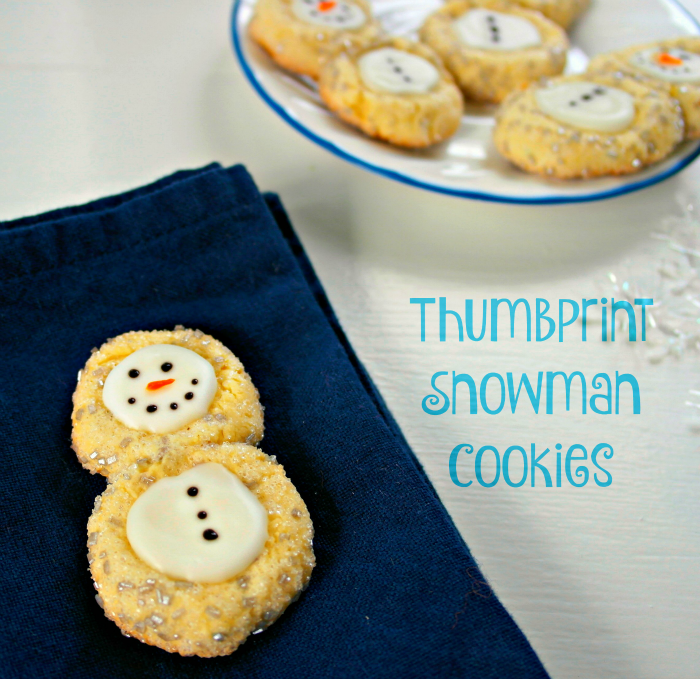 These Thumbprint Snowman Cookies are fun to make and yummy to eat! 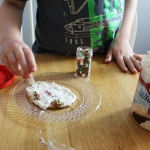 Whether you’re looking for a fun treat to bring to a party, send to school, or give away as gifts, Thumbprint Snowman Cookies will work great! 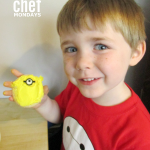 These are easy to whip up and then get the kids to help! 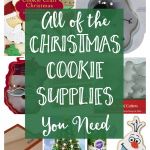 You can also choose to just make snowman heads, but I prefer a double cookie! Icing should be thin enough to pour, but not runny. Putting the icing in a bag makes it a little more manageable to place in the thumbprints. All you need to do now is add a face and buttons! In a large bowl using an electric mixer, beat the butter, sugar, egg and vanilla until creamy. 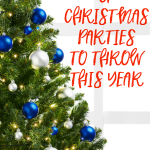 Fold in flour, baking powder and salt until a soft dough forms. 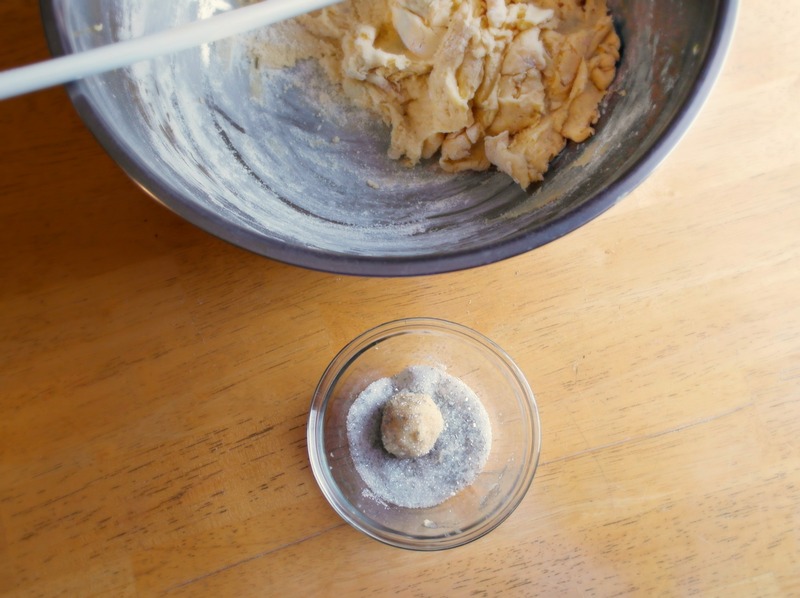 Roll dough into 1-2 inch balls and coat with sugar crystals. 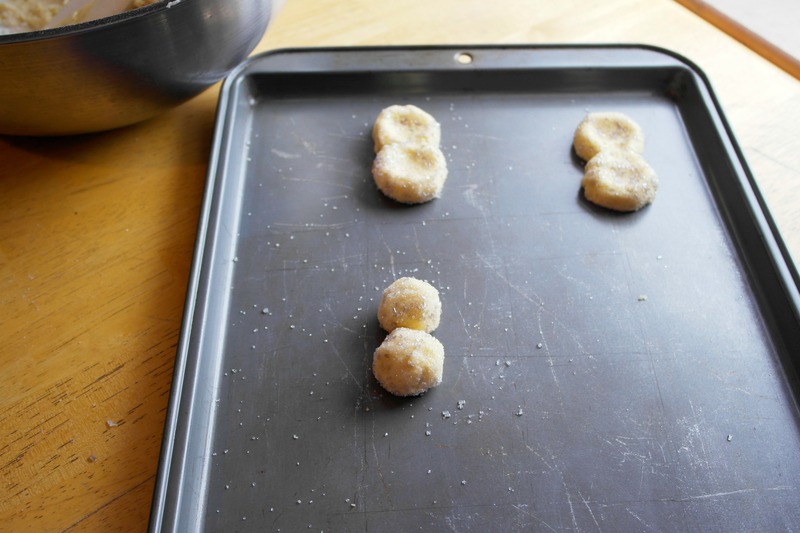 Place on a cookie sheet and press down in the middle creating a "thumbprint". NOTE* I always check my thumbprint cookies halfway through their baking time. Sometimes they need to be pressed down in the middle again. 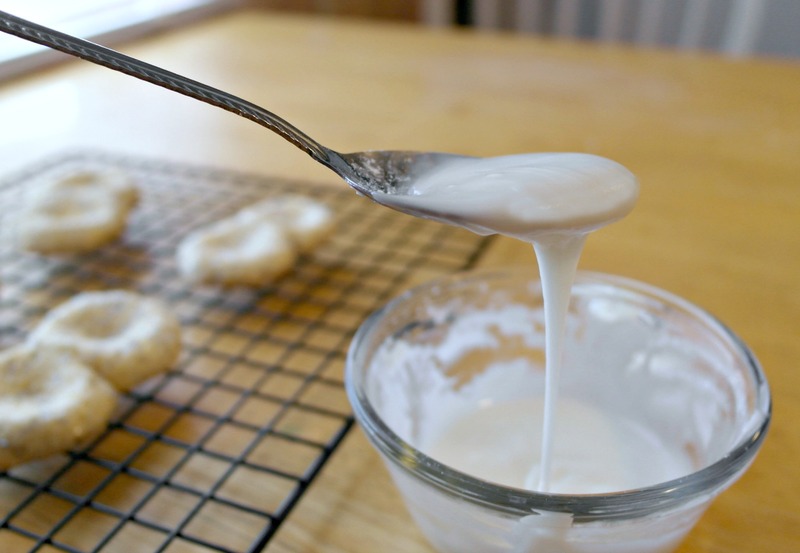 Mix the powdered sugar, milk and vanilla in a small dish until smooth. Icing should be thin enough to pour, but not runny. You may need to add a touch of milk or powdered sugar to get it just right. 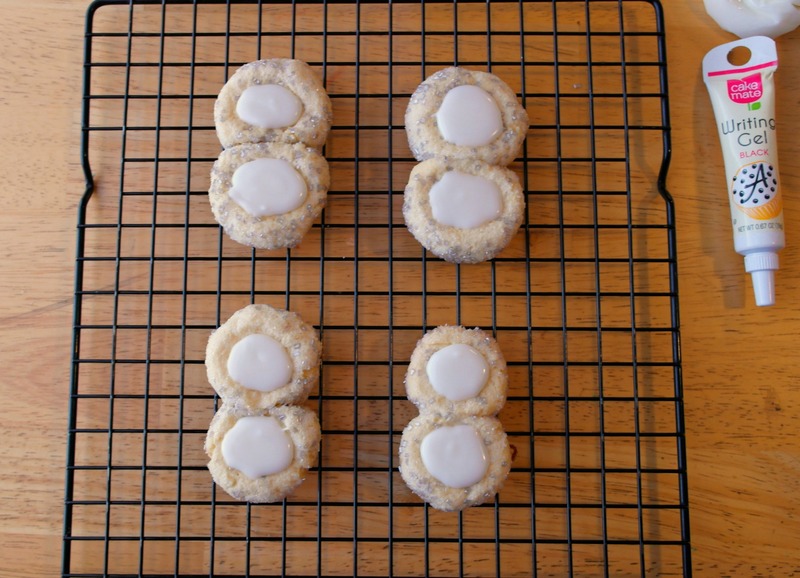 Fill each thumbprint and give a gentle shake to level out the icing. Let set until firm, you can refrigerate for about 10 minutes to speed this process. Use decorator gel to create a nose and mouth! 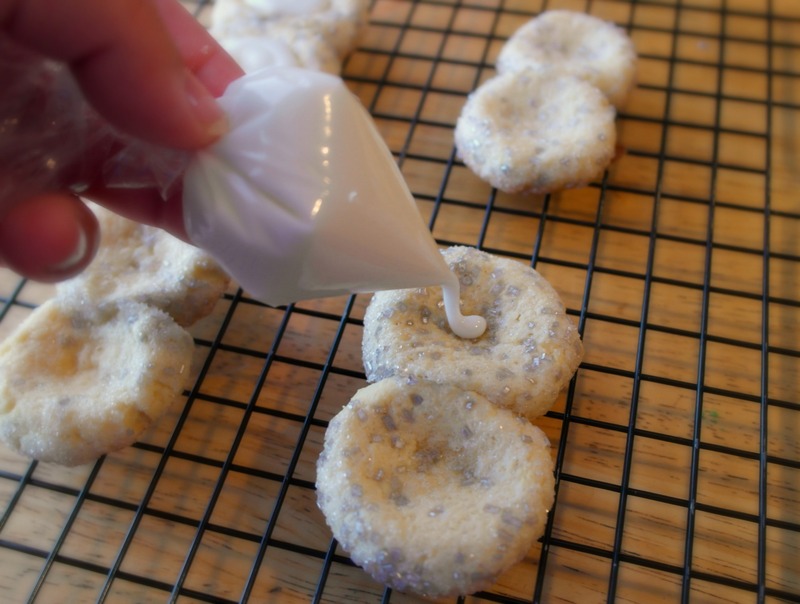 We love making cookies with my mom before the holidays, but these Thumbprint Snowman Cookies are great for the entire winter season, not just Christmas! 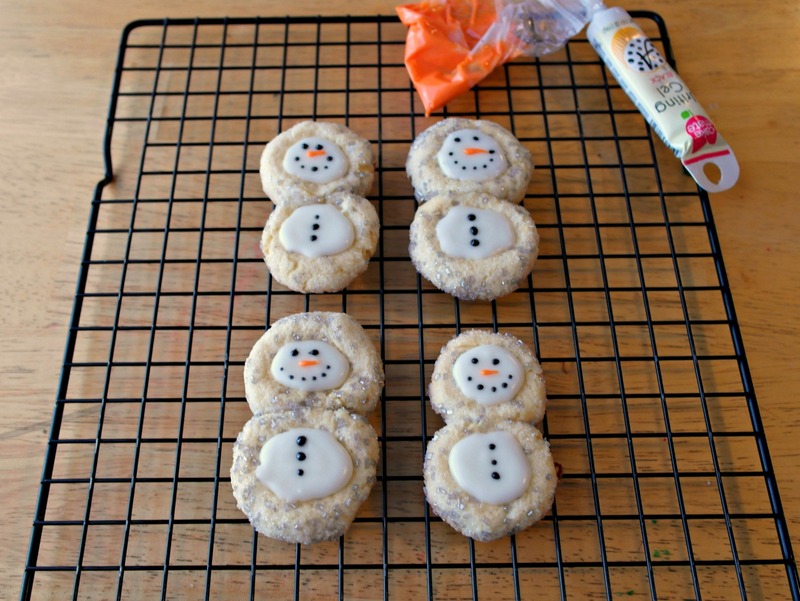 A winter party of any kind or even a Frozen party would be the perfect place for snowman cookies! Where would you take these Thumbprint Snowman Cookies? 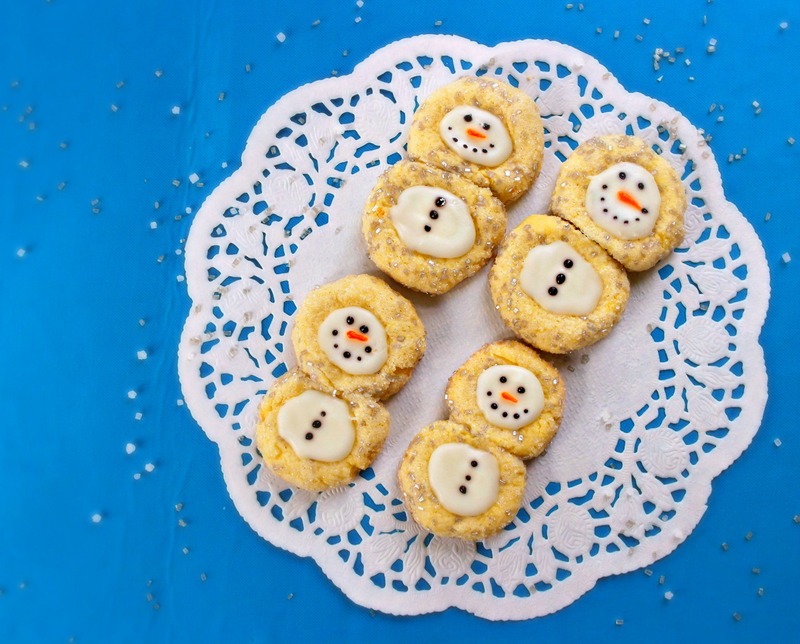 Hi Christine – I love all things snowmen and these cookies are adorable! 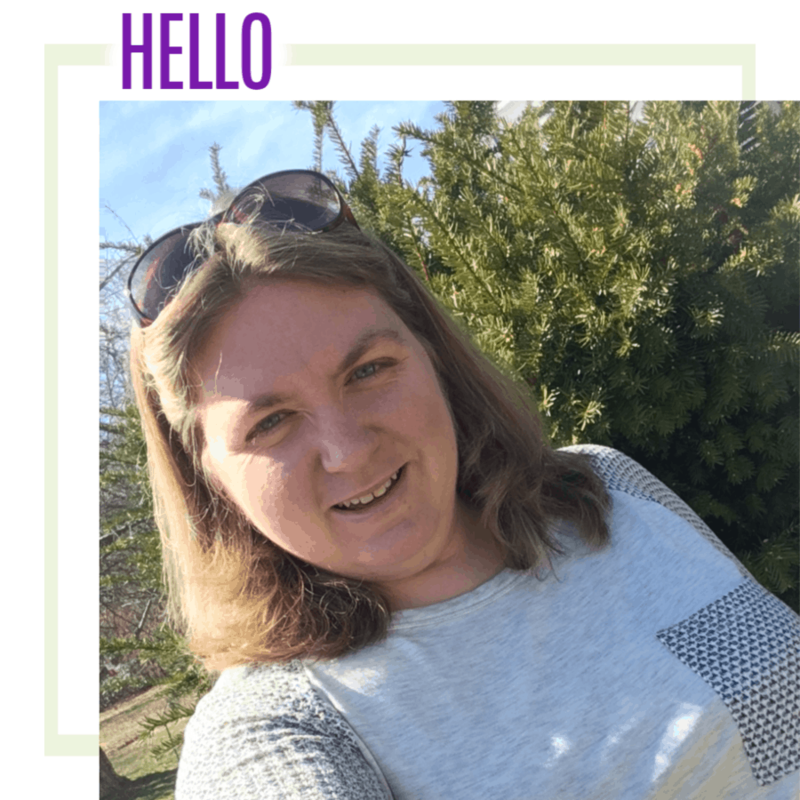 Visiting from Sadie Seasongoods and pinning. Have a happy Sunday and a great week! So cute and easy too 🙂 Pinning to share. Oh my gosh…these are so adorable!!! Thanks so much for sharing at Share The Wealth Sunday! These cookies are adorable. I love how easy they look to make. Thanks for sharing at the Inspiration Spotlight party. Pinned & shared. 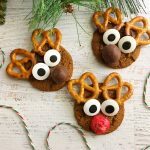 I love your snowman cookies 🙂 I have saved this to make with my niece and daughter this Christmas. Thank you so much for sharing! These are adorable and yummy!!!! I’ll have to try it with my hub & kiddo!